This new pattern published by Leelee Knits will be your favorite if you don’t like a festive colors. 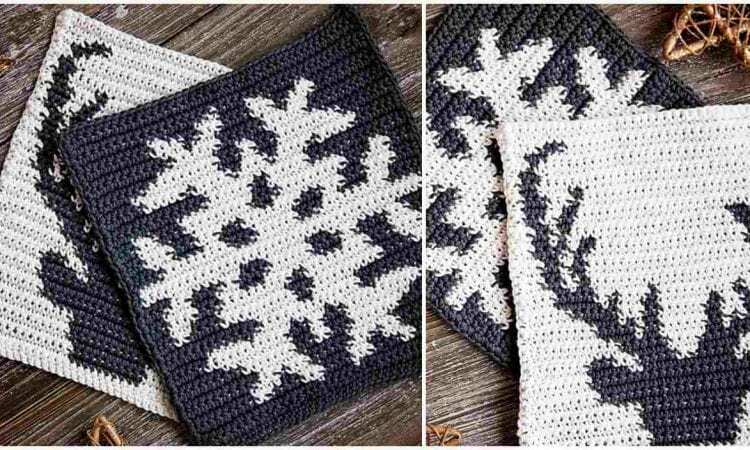 White and gray or maybe white and black Winter Potholders with a snowflake or/and reindeer will be a great Christmas decor or an easy handmade Christmas gift. A potholder measures 7.5” X 7.5”. A link to the free pattern is below.